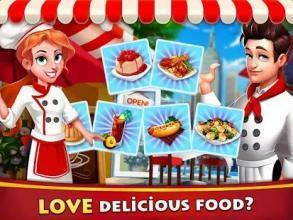 A a brand new FREE kitchen game which can help you cook tasty and delicious meals. 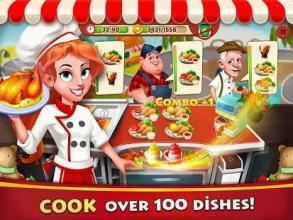 You will act as a technical chef in this game to cook world-class cuisine within a certain time. Your efforts will be awarded by tips if you provide quality services and meet customers' satisfaction. Grilling palatable chicken, making delicous burgers, baking delectable cupcakes, upgrading cooking utensil from the coffeemaker to the pizza oven...all you want can be found in this game! 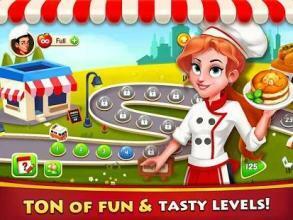 So, try this interesting cooking game if you want to improve cooking skills and enjoy llife in the kitchen. Features: • Cook tasty dishes only by click. 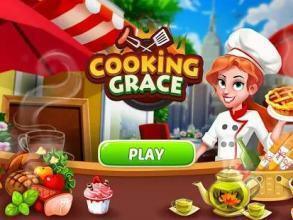 • Cook in a certain time with your technical skills and effective strategies. 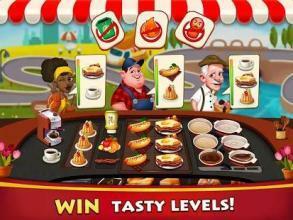 • Beat levels to get golden stars and earn gems for FREE • Cook popular dishes, such as hot dogs, roast fish, palatable steaks, puddings and pasta" Are you ready to enjoy it, Chef? Notes: • If you have any questions with this game, please be free to contact us"